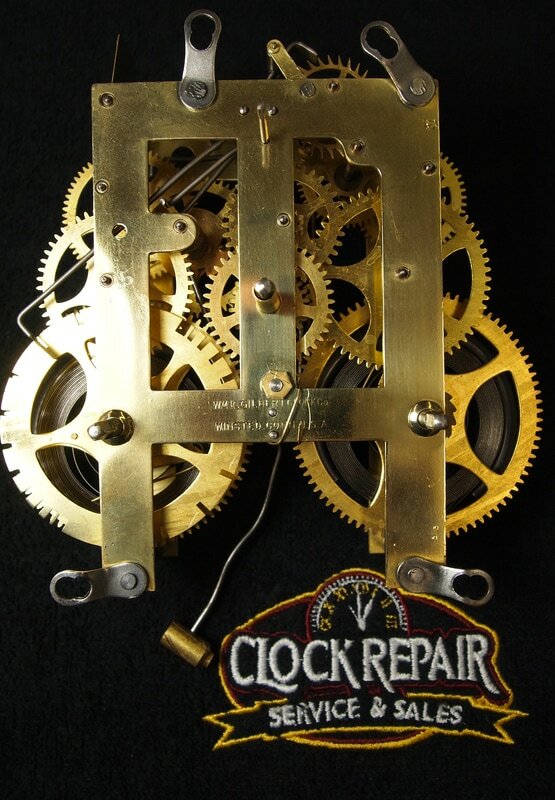 At Clock Repair Service, clock repair is our full-time job. 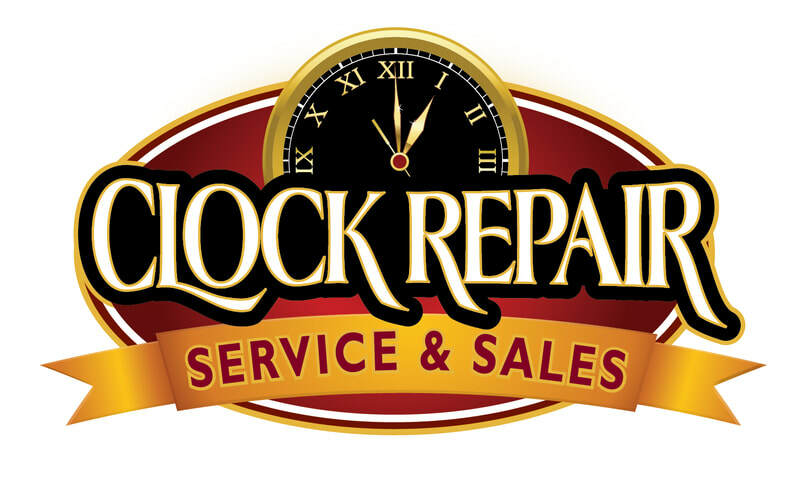 Our clock shop is a full service clock repair shop. We service and repair all types of antique, vintage and modern clocks of all brands, makes and models. 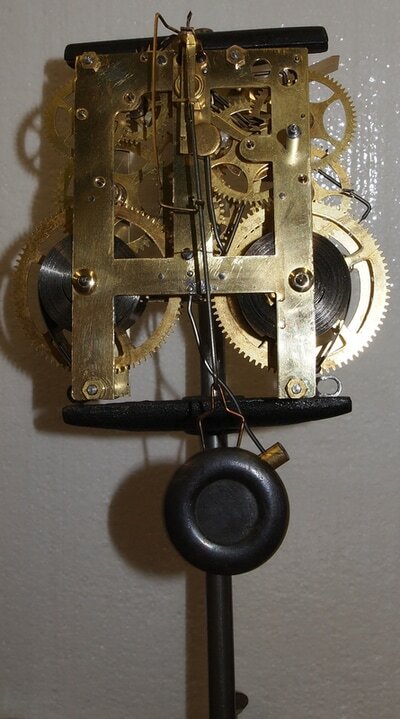 Although we are located in Marietta, Georgia, we not only have clocks of all types brought into our shop, we have many customers that choose to send us their clocks or clock movements into our shop through the mail. 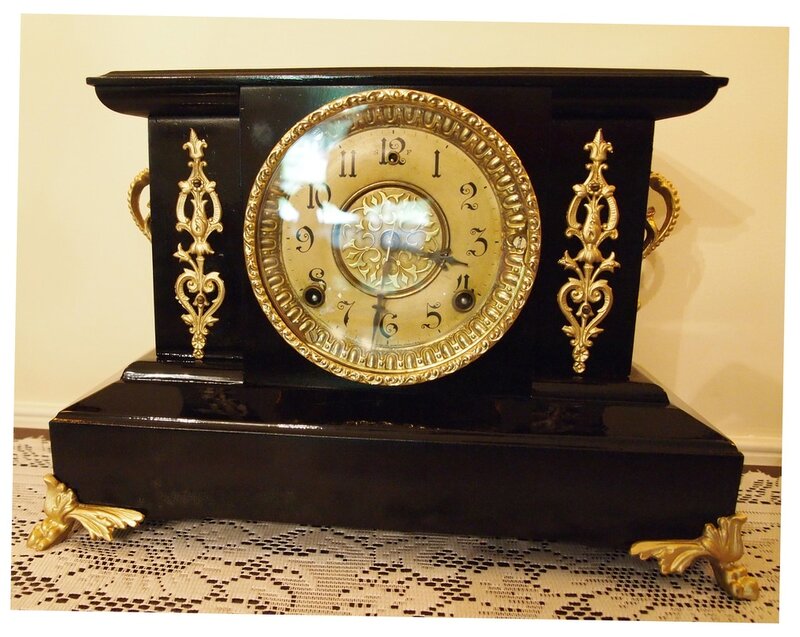 At Clock Repair Service, our goal is to keep the integrity of your clock and to keep it as original as the clock maker had intended, regardless if it is an antique that has been handed down, or if it is a new purchase. Our full service shop is capable of making many parts, including gears, as well as wood case repairs. 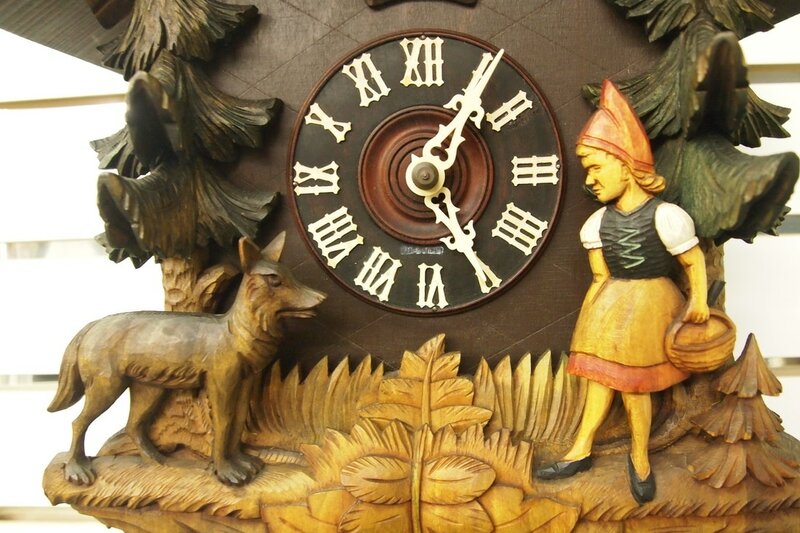 Antique clocks were hand made when they were new. Each gear was cut from a blank piece of brass that was stamped out by a stamping machine, then hand cut and filed to the exact specs that the clock maker had designed. 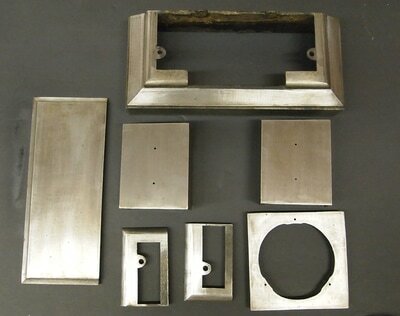 Today, many parts are still available through several suppliers that we use. These parts although they will fit and work most of the time, they come from India, China and other parts of the world. However, when antique clocks need to be repaired, some shops will use these parts. Once these parts are installed, the integrity of the clock has been compromised and the value of the clock has dropped. If you have ever watched "Antiques Roadshow" you will hear the host point out to the owners of antiques of a repair that might have been made, and the repair or repairs have compromised the antique and the value of the antique has dropped. 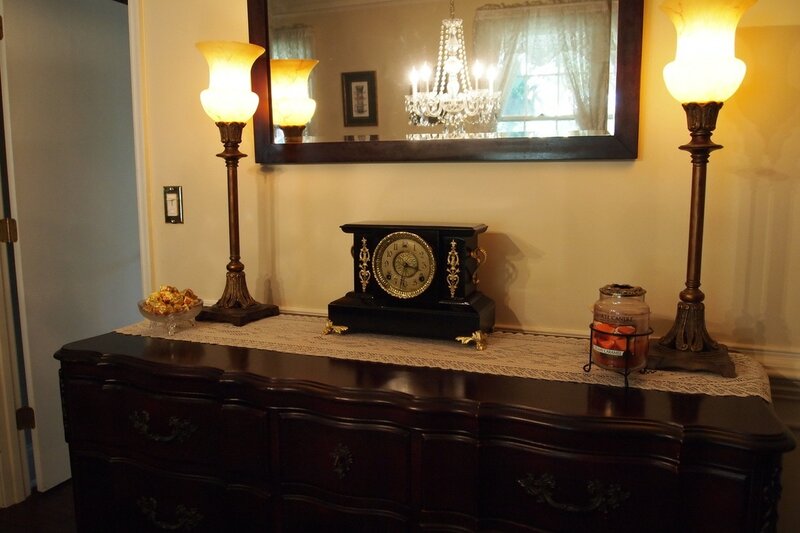 However, you will also hear them recommend to the owner of an antique that is in need of repair, to have the antique repaired by a professional and the value will either rise or stay the same, but never drop. This is the same with antique clocks. 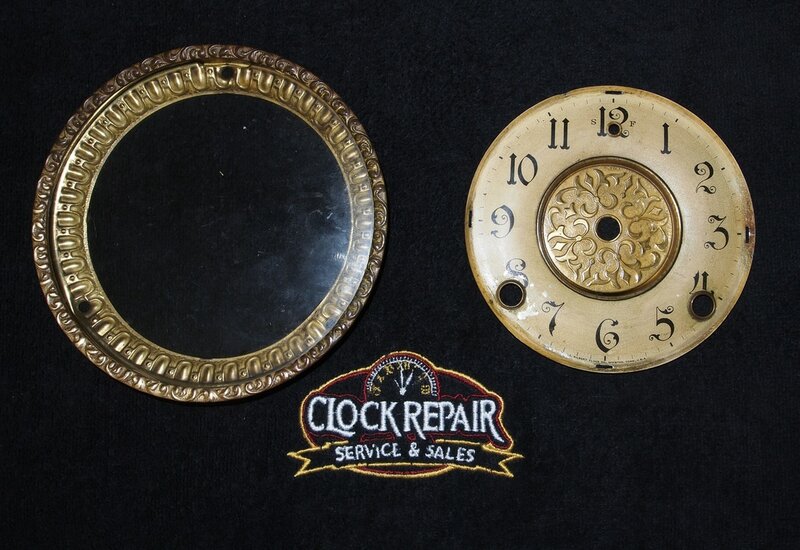 By having your clock professional repaired by a full service clock repair shop that will still make their own parts, you will keep the integrity, as well as the value of your families heirloom. 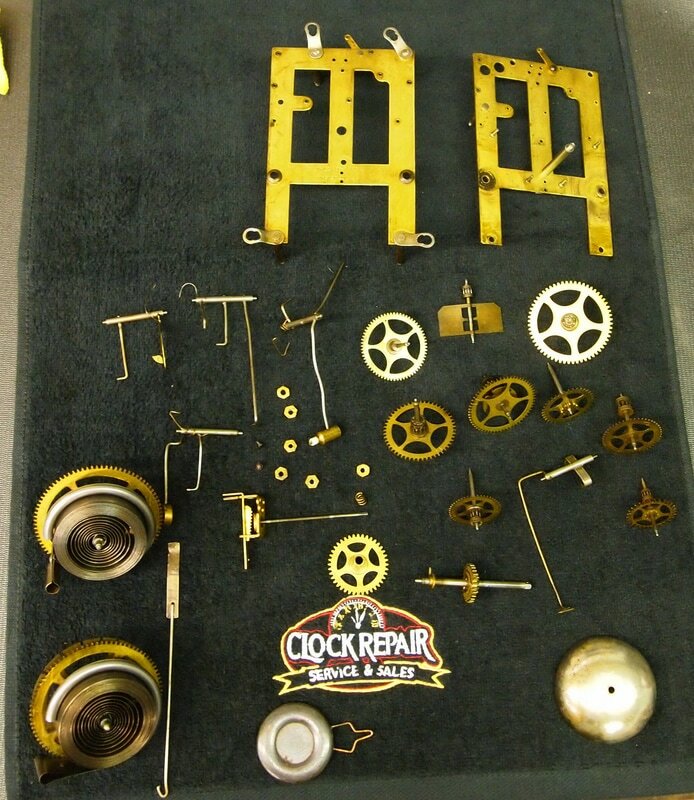 At Clock Repair Service, ​we believe restoring an antique clock is more than a casual tinkering. It requires a methodical process of disassembling, cleaning and reworking of worn parts, such as pivots, pinions and bearings. It involves manufacturing of broken or missing parts, polishing, reassembling and finally testing and adjusting. Replacing worn bearing holes with bushings is an art form in itself. It should be done in such a manner that will create a lasting friction free bearing and not deface the movement or compromise the integrity of the clock. The picture on the right will show how we clean and repair antique clocks as they come into our shop. 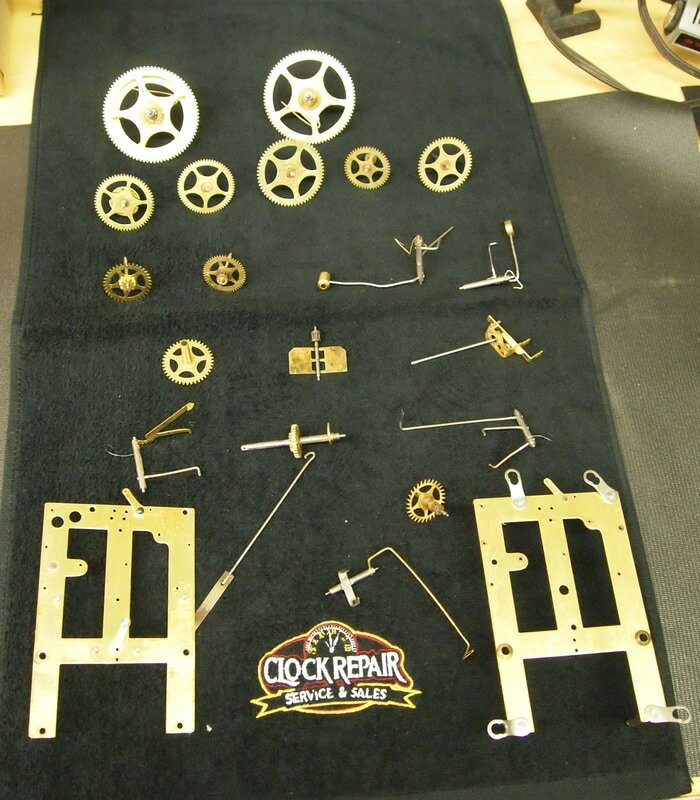 We have 4 fully qualified clock repair technicians in our full service shop that will disassemble each clock movement to replace bushings, polish the ends of the gears. 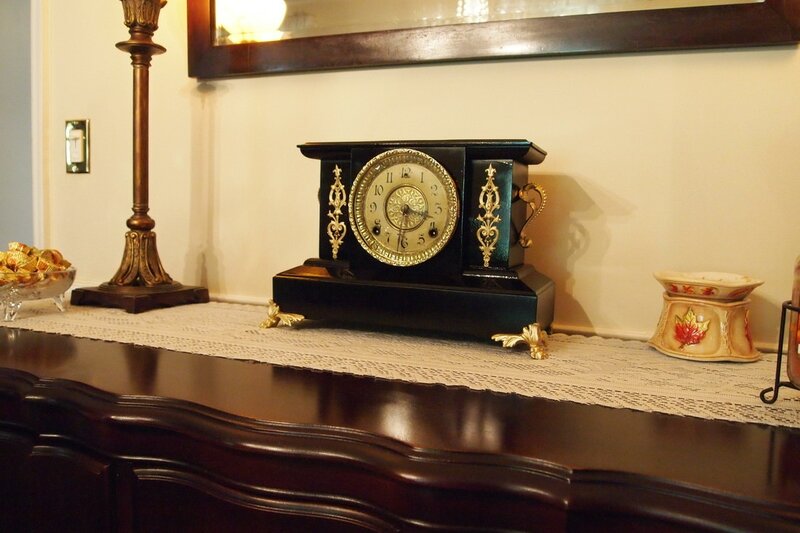 clean each part and provide any repairs if deeded to each part of the clock. 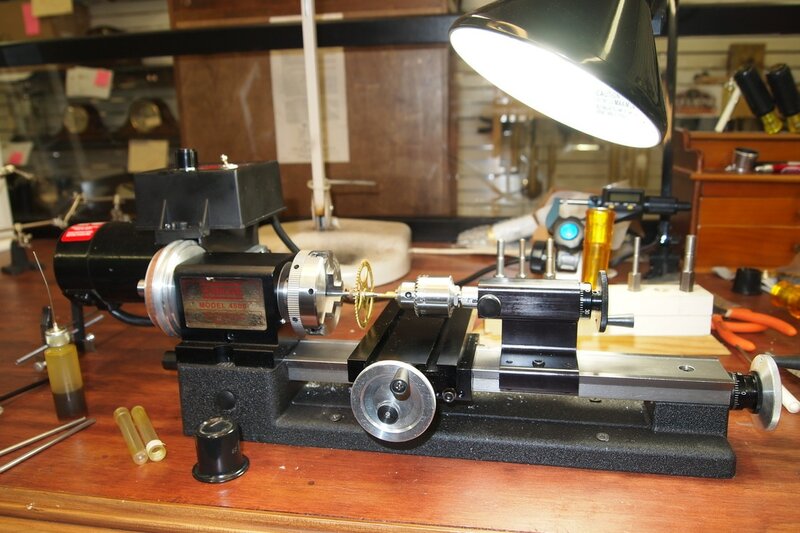 Once the clock movement has been cleaned, polished and repaired, the movement will be fully reassembled and calibrated. The movement will go onto a test stand to be full tested for 1 week. After the movement is fully tested, the entire clock will be fully assembled. 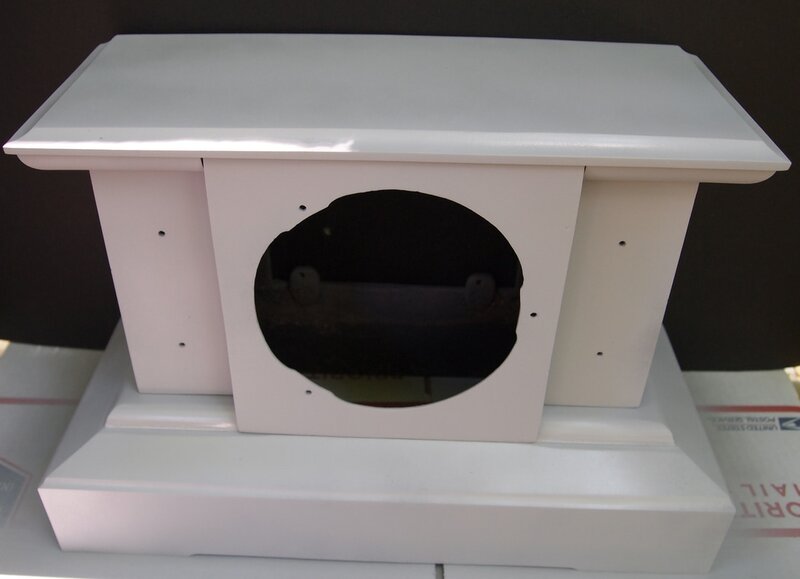 Our technician will perform several other tests on the clock including electronic testing. After all the testing and calibrating is complete, your clock will go to a watching area. During this time, your clock will be wound and running, waiting for you to come pick it up from our shop. If you have mailed your clock to us, the clock will be shipped after testing, full wound down and packed securely for its ride back home. The picture on this page will hopefully show you what all goes into the servicing and/or repairing of your clock when it comes into our shop. 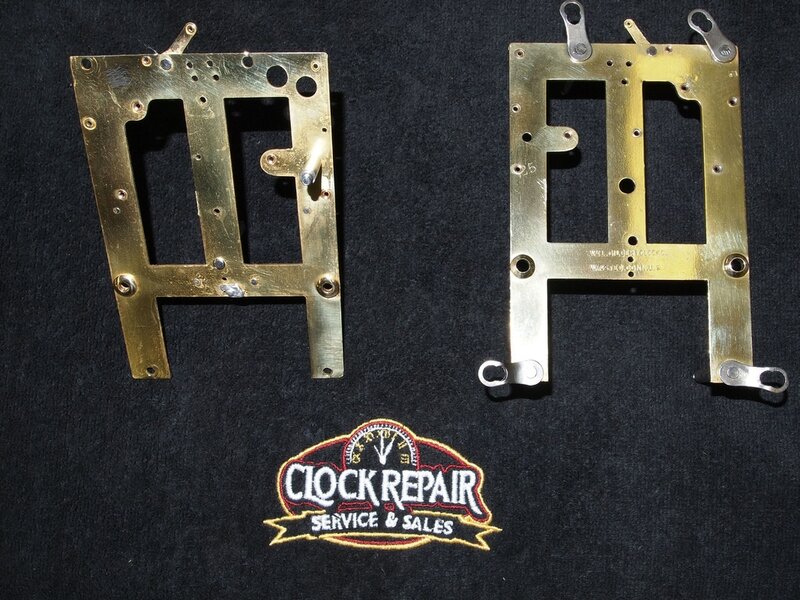 People often ask why clock repair takes so long and its hard for us to explain the amount of work that goes into just servicing a clock, much less if we have to build or repair a part. When a 120 year old clock has a broken gear, we have to make that gear with 120 years of wear on it, so that the gear that drives the repaired gear, as well as the gear that the repaired gear drives will all have the same 120 years of wear on them, ensuring a perfect match for another 120 years of smooth running. 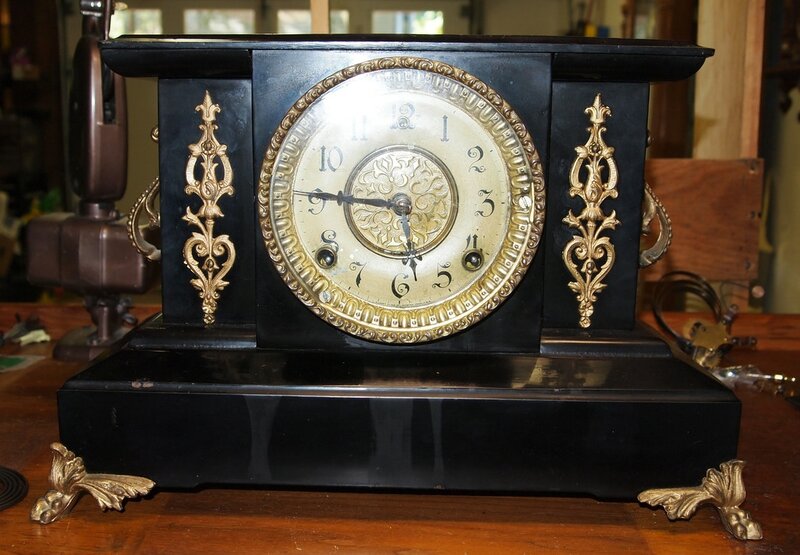 This black Metal Mantle clock was brought into our shop for a total overhaul. The case was in rough shape, rusted, dirty and pitted. The movement was no better. This mantle clock belonged to our customers Grandparents and had received it on their wedding day. Neglected over the years, she found this mantle clock on the fireplace mantle not working and in need of repairs. The pictures below shows a few of the many steps we took to bring this beautiful mantle clock back to life. We had to completely dismantle the clock as well as the movement. 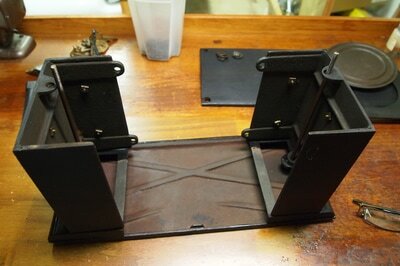 The case was stripped to bare mettle, sanded, primed and painted with 4 layers of black lacquer. The gold trim pieces were stripped, sanded and re-painted with 3 coats of gold lacquer. The movement was dismantled. We polished each pivot, Replaced several bushings, Replaced the mainsprings, re-adjusted and calibrated the movement. Once everything was complacently tested the movement was re-installed. 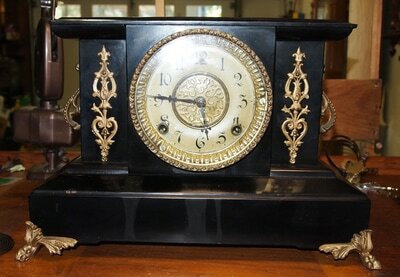 The final results, a beautiful Sessions mantle clock circa 1920 restored to the day it was purchased.